Goldilocks will held an event on Sunday,February 26, 2012 for the whole family. 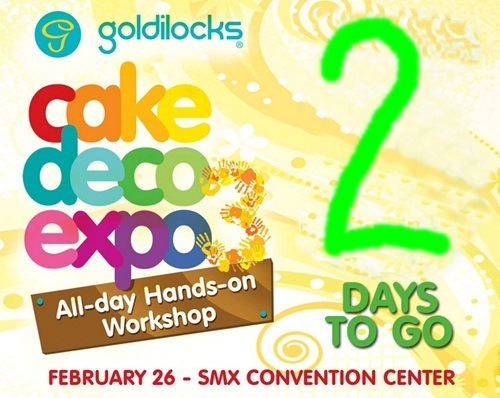 Everybody is invited to experience cake decorating first-hand on February 26 at the SMX Convention Center! Please Come early to register for the hands-on workshops. General admission in P50 only. Come one come all! Your whole family is invited~! This is a great way to spend time with the kids for a change. If we have time we try to go for it.Thanks.